Hi, great post. 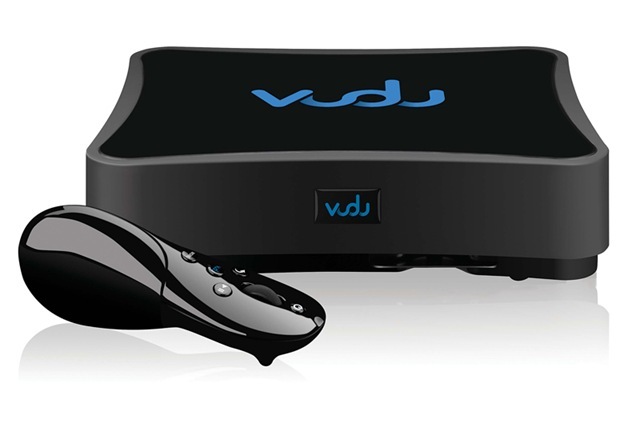 I had never even heard of VuDu until today and it sounds like a pretty awesome service. Do you know if this is available in the UK? Also, I noticed it streams 1080p content over the internet… What kind of bandwidth does this use up? And is there noticeable buffering time every so often? As this would really kill an action film! First, I don’t think the VuDu is yet available in the UK. I can’t imagine why this is the case since other than the power supply and adapter, there’s nothing US-bound. I’m sure it’ll be available in the UK as some point soon, though. Perhaps unimportant given the availability problem . . . for HDX movies (1080p), you need to start downloading them before watching them. In general, I *think* they recommend queuing up 20-30 minutes of the movie prior to viewing, that way, buffering doesn’t affect the viewing. Bandwidth use is surprisingly low – I can watch a VuDu movie while one kid is watching TV via HuLu and another is playing World of Warcraft. I think their trick is torrent-like in that many servers can supply small chunks of the film separately, but I’m not sure about that. Hi Will, thanks for the swift response! It’s a shame that this service is not available in the UK, as like you say, there is nothing to keeping it US bound. I have yet to try out a streaming service like this, but I am tempted to get Apple TV. Have you had any prior experience with Apple’s offering? Sorry, don’t know much about Apple TV. Seems like a good solution, but I’ve read blog posts here and there about issues. The fact that it hasn’t really caught on too well makes me curious. We are playing with several things here. I play movies from a server through various means and we are using Netflix and Amazon video through a TiVo. Both the TiVo solutions are fairly seamless and work within TiVos interface. Netflix doesn’t have many selection for online viewing, but Amazon does. Amazon is also experimenting with HD. Worth checking out if you use TiVo.